As a new mummy, there are a million and one products out there that every new mum seems to desperately “need” (according to the advertisers that is) and yet, I still find that there are things that I have from my own childhood that I don’t seem to be able to find anywhere. Necessity being the mother of all invention, I decided that I need to learn how to sew in order to be able to make some of the things I want. After discussion with my husband about the types of things I want to make eventually, we agreed that we could access some of our rainy day funds to buy a pretty nice machine that should do me for a long time to come. The machine comes with lessons but I can’t wait until then to test out the new machine. IT consultant that I am, I turned to the internet for some sewing tutorials. I wanted something that I could make without a pattern and with just some scraps of fabric and notions that I picked up to just mess around with. 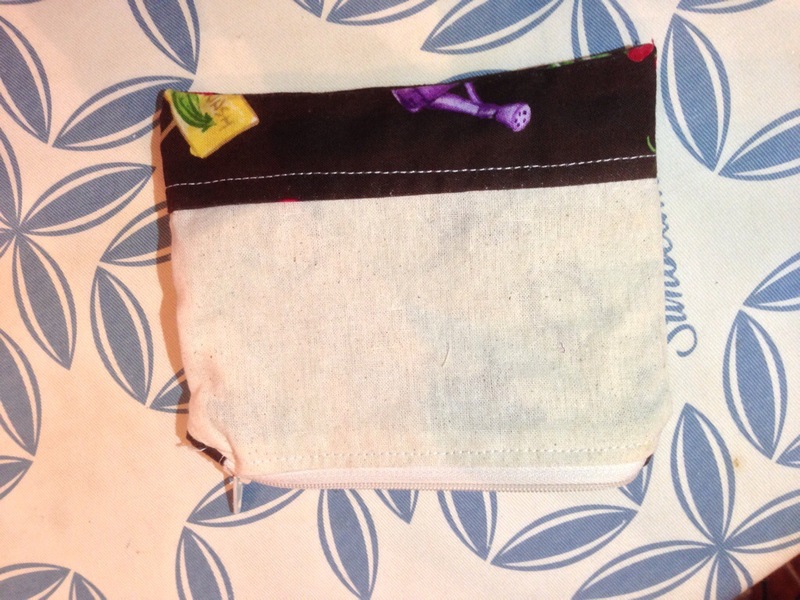 I came across this tutorial from Sew Minty to create zipper pouches. My journey into sewing nearly got abandoned before I began when I realised that I had to get the iron out of hibernation. We moved into our house in December and it hasn’t been set up once. I buy my husband the non-iron business shirts because I really do not enjoy ironing one bit. Given I had spent a not insignificant sum on my fancy sewing machine though, I sucked it up and got the iron and ironing board out of the laundry. I’m not going to recreate that tutorial step by step as that is silly when the tutorial is so good already. I’m just going to show you my finished product and tell you the lessons I have learned! 1. Sewing requires a lot of attention to detail. This is something I am not naturally blessed with but I am looking forward to my sewing journey helping me to learn to pay attention to some of the little things to slow down and to take time to get things just right as it will be worth it in the end. 2. Pay attention to the right side/wrong side of fabrics and what side you are sewing a seam on to prevent numerous unpicking attempts! 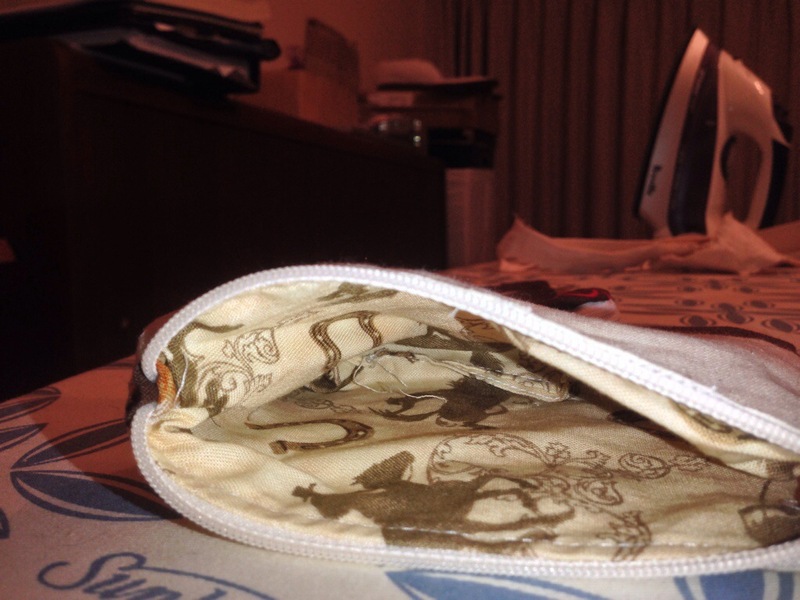 I ended up with my seam on the outside of my zip – see point 1 regarding attention to detail! 3. I am still not too sure why my zip tabs have not lined up properly. Potentially my seam allowance. More details on seam allowances in a later post! So tell me what you think! Where to from here?